A pin is a small decorative jewelry item designed to be affixed to a garment by means of a pinstem. 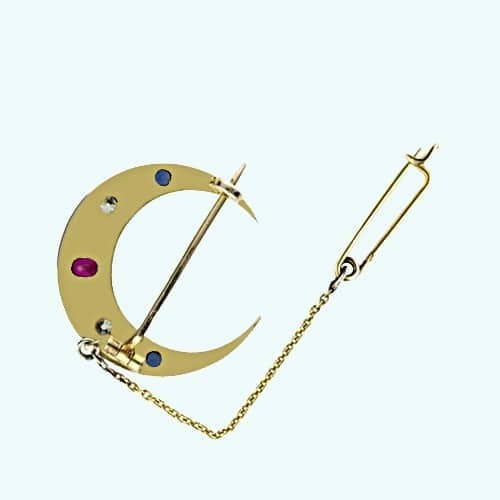 The pinstem is a jewelry finding composed of a sharp object that is designed to pierce fabric in order to secure a brooch/pin in place. Note the Pinstem on the Reverse of this Victorian Crescent Brooch and the Small Safety Pin Attached by a Chain.